Before I had my own children, several of my friends had children who I spent time with. We would spend time in cafes and restaurants with them and I never really thought about how well behaved they were, because they always were really good. Then when I was pregnant I asked my friend what her secret was and she said start taking them out to eat as soon as they are born. She said getting them used to eating out from an early age was what worked for her, they learnt from a young age that you ordered your food and then you had to wait. Yes, there was the difficult stage where they don’t really understand that, but just ride through the those times and you will come out the other end. 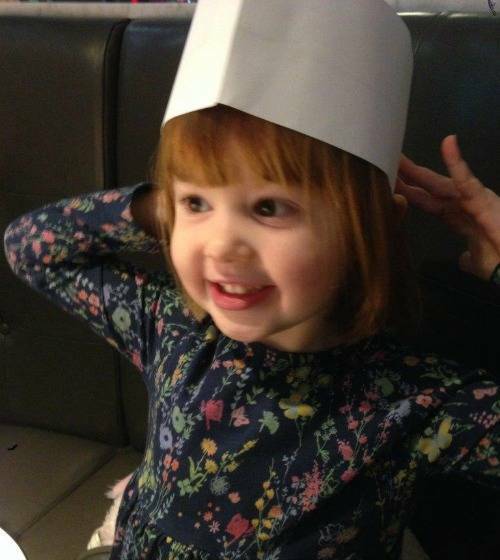 I can really relate to that as we rode through those difficult months with Alice and now at nearly four years old she is great in restaurants. We are in the difficult phase with Holly right now, the time between sitting down and our food arriving is hard at times to keep her entertained and sat still. But as soon as the food arrives she is really good. Plus with Holly being our second child we know it won’t last. Start Young As I touched on above, I really recommend taking them when they arevyoung. Waiting to take them to a restaurant until they are older, they won’t learn they have to wait and will expect their dinner to arrive instantly. Restaurants Choose restaurants that are child friendly. It can make such a difference if you are surrounded by families, you won’t feel on edge if they do start playing up. Let’s be honest we have all been there and no one will be judging you. They will just be grateful that it’s not their turn this time! Entertainment A lot of restaurants, especially child friendly ones will give the children some activity things to do. But, don’t rely on this, if I know we will be eating out I pop a notepad in my bag. I also always keep a small pack of crayons in my bag for those emergency moments where they have run out. Timing Think ahead at what time your children need to eat and arrive at the restaurant before then, allowing for the time to sit down, order and wait for the food. Avoid rush hour! Be Prepared Most of the time you don’t have a long wait for your food to arrive, but there are occasions where a restaurant is busy and your children will be getting hungrier by the minute. I take a box of raisins for my girls to whip out for those moments. They are not filling, but can be a life saver while you wait. Relax I know easier said than done, but I have learnt over the years to relax and go with what the children want to do. If that means that I take Alice to the toilet four times while we wait for dinner, that is what I will do. Yes, it’s annoying but does it really matter? It keeps her happy and passes the time. If Holly wants to get out her highchair and walk round the table, it’s not bothering anyone and it means when the food arrives she is happy to go in her highchair. 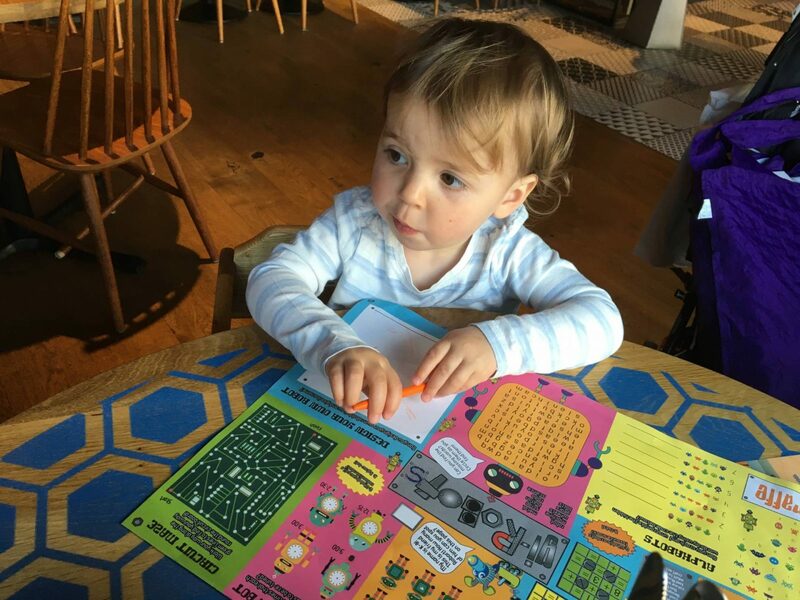 So, there you go my top tips to eating out with children. Do you take your children out to restaurants? What are your tips? Erin is 5 months old and I’ve been taking her out to lunch with me for about 4 months now. We do it every other week so I’m hoping the start early thing works for us! Lovely tips. Kids are so naughty when they are bored. I have to keep mine entertained every time. I agree taking kids when they are younger helps them get to used to being patient and waiting for their food. Its good to start young. Some really great advice, I don’t think I could add much more to this list! It’s definitely not easy. I totally agree with taking them out from a young age. I don’t always go to child friendly restaurants though, I find that they behave better if the restaurant is full of adults, sometimes having other children in there that are running around and misbehaving can be a bit distracting for my two. If they ever misbehaved I’d take them out, which is more than can be said for many of the adults in there who talk / shout / swear loudly. I never feel embarrassed by my children’s behaviour but I do sometimes feel embarrassed that they have to listen to the way adults think it’s acceptable to behave when they’re showing off to their friends. I couldn’t agree more with this! I have always taken my little ones out. Realistic expectations are so important though, I don’t expect that if I take my 16m, 3yr and 5yr out that they are going to be super well behaved. Sometimes they will enjoy the colouring, other times I will be trying to avoid acknowledging that they are my spawn while they try to swing from chandeliers like monkeys… I’m exaggerating… ish. Fab advice. I’ve been taking my little girl out to restaurants pretty much since she was born. It is definitely best to go to family friendly restaurants like you said because you won’t feel as under pressure for them to behave. It’s 50/50 with my daughter really on how she behaves. Sometimes she’s a little angel, other times a nightmare. We often go out with my niece too who is only 10 months older than my daughter, we always keep them separated at the table because they mess about and wind each other up if we don’t.